Benafica | Insurance. People. Technology. Benafica provides insurance solutions and administration for individuals, employers, associations and insurance organizations. Our expertise combines independent insurance advice with administrative and technology solutions. This allows your insurance programs to run seamlessly and provides maximum value. Benafica’s own LEO software platform for insurance provides the latest in insurance processing and management. Benafica is aimed for Employers and Associations, and for those who make these organizations great. Work with Personal Benefit Advisors to understand your insurance options. As your life changes, due to job changes, age, family situation, or retirement, Benafica can provide insurance continuity and peace of mind. Benefits include: Medicare, health insurance, life, dental, long-term care and more. Stop leaving your insurance behind! Benefit professionals provide consulting services to employers and associations to identify the best plan choices; whether they are group, voluntary, or individual plans. Employees or Members make their personal selections. Take advantage of combined premium billing and payment services, COBRA administration, Forms Services, and claims processing. 10,000 members of a national association utilizes Benafica to administer chapter life insurance benefits for their members. 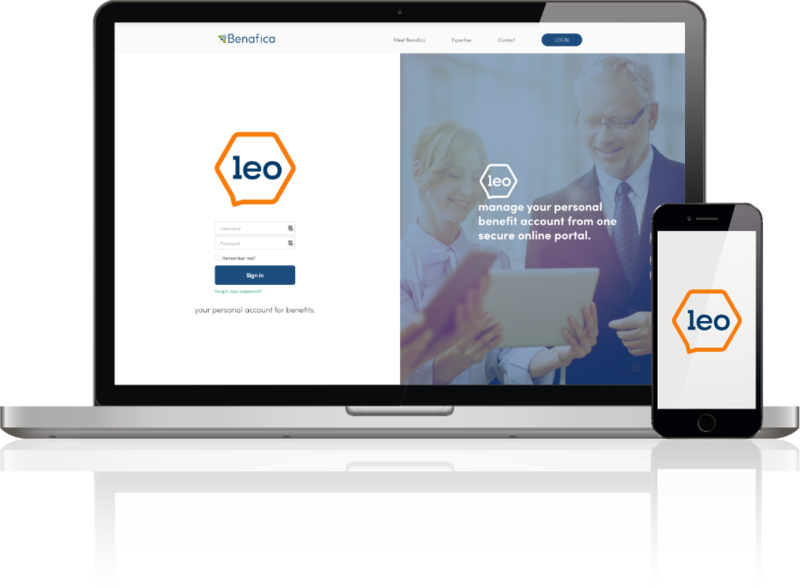 Insurance organizations use Benafica’s LEO platform to pay commissions to over 5000+ insurance advisors. Over 200 public sector employers use Benafica to administer their voluntary benefit programs using list bill and payroll deduction services. Finding and choosing the right insurance plans may seem like a daunting task to handle. LeClair Group advisers offer free consultations for all your life insurance needs. Benafica’s LEO platform for insurance processing is a unique and flexible system helps accommodate simple and complex business arrangements. This all takes place in a single integrated environment. Benafica’s technology combines with consulting and administrative services. More than 10,000 members of a national association utilize Benafica’s LEO platform. All of this allows for your insurance benefits to run seamlessly on one central platform.